1. to tear or rend apart (rive meat from a bone). 2. to separate by striking; split or cleave. 3. to rend, harrow, or distress (the feelings, heart, etc.). 4. to split (wood) radially from a log. 5. to become split apart (stones that rive easily). 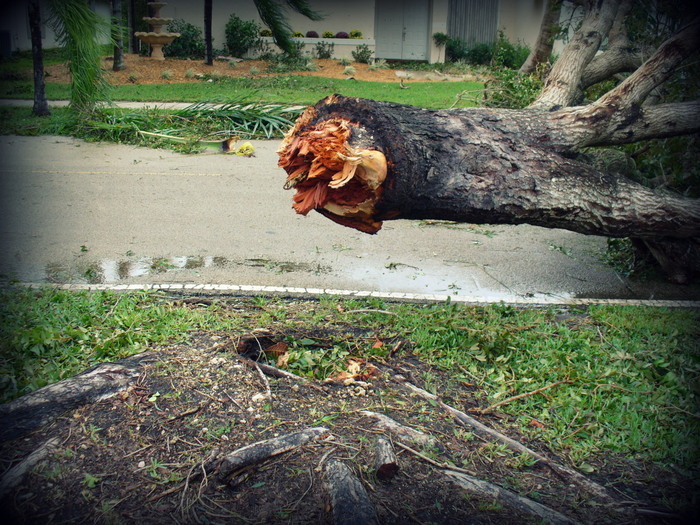 The 2 pictures above were taken in 2005 after Hurricane Wilma. 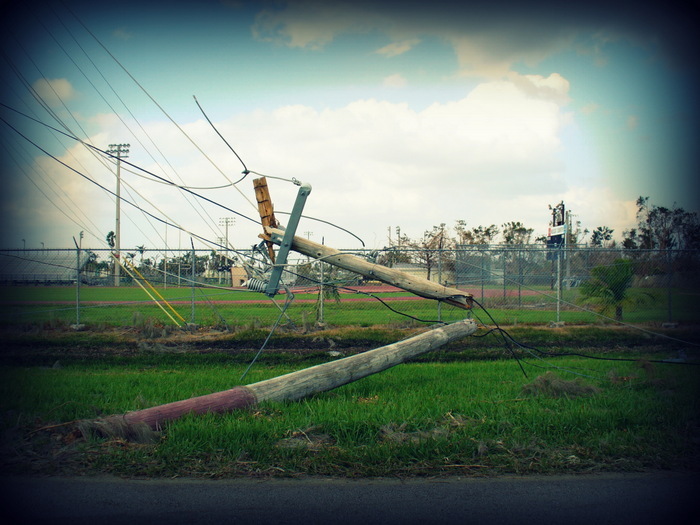 It caused a lot of damage in South Florida leaving many without power for weeks. Luckily, we only had trees knocked down and our fence, but nothing too serious. I thought the tree splitting (or riving) and the power-line snapping in half would be perfect for this word of the week. Posted on July 23, 2012, in Daily Inspiration and tagged English, grammar, hurricane, inspiration, learn, life, nature, photos, thoughts, vocabulary, word of the week. Bookmark the permalink. Leave a comment.